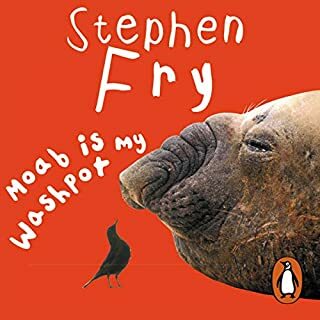 Following on from his hugely successful books, Moab is My WashpotandThe Fry Chronicles, comes the third chapter in Stephen Fry's life. 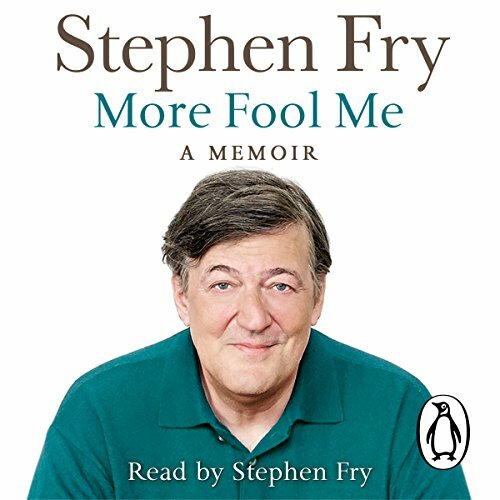 This unabridged, downloadable audiobook edition of More Fool Me is performed by Stephen Fry himself. Hour after hour of diary excerpts is not an autobiography. I listened to about 2 hours of it, before skipping through the rest of the chapters, thinking that, surely, the whole recording can't consist of just his diary. This was such a lazy effort. 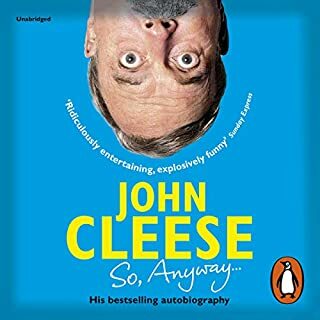 Having previously enjoyed Fry's earlier autobiographies, this book was a fragmented rehash of old diary scribblings, full of pretentious name dropping and tedious luvvy chat. I am a great fan of Stephen Fry, and enjoy his performances immensely. Another stage in his personal reminiscences, and nicely read, the content here is a great disappointment. After a beginning that holds some entertaining (if explicit) promise, it mainly consists of presenting successive entries (perhaps expanded) from his personal diary. These become essentially repetitious and so, consequently, boring. Stephen you can do much better! Not as satisfyingly funny as other Fry tales. Not as satisfyingly funny as other Fry tales. The previous books were enough. Not worth downloading. Loved Moab and the Fry Chronicles. This one not so much. He reads diary entries for the last half and it's just a bit boring. Still love the Fry. A great listen and a inspiring and charismatic reading by Steven Fry. A true intellectual of our time. Some excellent anecdotes throughout. Great first half but the diary entries in the latter half became tiresome. Spent most of the time wondering when they'd end and he'd return to the original format. Too long and too verbose. I'd had enough after 30 chapters but still enjoy his QI shows on the TV. And more fool me for buying it. 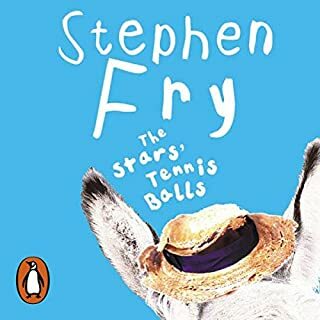 I'm a fan of Stephen Fry and really enjoyed the first two volumes of his autobiography but this was a huge disappointment. He phoned it in. The majority of the book is spent bringing us up to date - OK, I understand the need to go over old ground - and reading from the diary he kept as he rushed madly around London snorting coke and hanging out with nearly every name he could possibly drop (not those he was sharing his coke with of course, that would be beyond the pale). This book doesn't advance us very far through his life and although he obviously had a serious drug habit we don't get the sense of how this was affecting his everyday life. The diary entries don't cut it. Pardon the pun. What did you like best about More Fool Me? What did you like least? Stephen Fry's performance is good, but the book seems slightly rushed and contains lots of 'filler'. - First third: Going over details and stories from the previous 2 books. - Second third: Some new info and anecdotes (although a lot of them I'd already heard on various tv shows and during promotional stuff for the book). - Final third: Just reading from his diary. No newly written content. While some of the stories were interesting, I'm not too bothered about what SF had for breakfast/lunch/dinner/drinks and when he went to bed on any given day. More anecdotes and original writing. Less goign over old stuff and just reading from old diaries. Do you think More Fool Me needs a follow-up book? Why or why not? Yes, but not yet, and in a format more similar to the first two books. I enjoyed Fry’s previous autobiographies which is why I bought this one. I was disappointed with More Fool Me - it lacks the deep personal and often intellectual insights and entertaining value of the previous books. I found the third one uninteresting and trivial, with little depth of thought and insight into his life and the world around him. 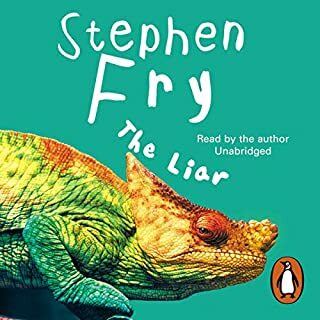 I read two previous parts of Stephen Fry's autobiography and I can't say that the beginning of this one is a repeating of Moab Is My Washpot or The Fry Chronicles. It is more like a view from the other side, it adds a new angle to the story. 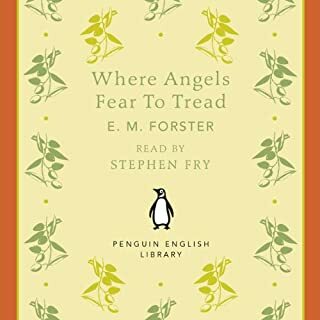 What followed next made me laugh and sigh and feel emotionally involved in every way: it is everything that is praised in Stephen Fry's books. 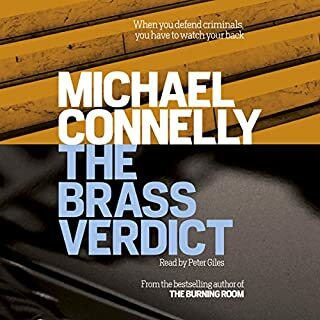 The narrator is heartbreakingly sincere, the plot is filled with unexpected turns and combines both the lowest and the highest, descriptions of taking cocaine (very enlightening, by the way, for a non-addict) and meeting with the Prince of Wales. And then the diary part starts. The excerpts of the real diary of Fry take from 1/3 to 1/2 of the book (the last part), they seem OK in the beginning but then you become more and more bored. It is not easy to explain why: the average day is far more than most of us experience, it is filled with events, dinners, clubs, high-society meetings, but it is just boring. It lacks internal thoughts and feelings that we value in diaries, it is more like a plain description of events. All in all, highly recommended, but be prepared for listening to (or skipping) somewhat tedious diary entries in the end. Wonderful book. Full summation of previous delights. Highly recommended. Wonderful insights of life from a delightful mind. I read so many bad reviews I almost didn't read this book- so glad I did. I absolutely love Stephen Fry's command of English. Listening to this felt like having a chat with him, quite intimate. It's great listening to Stephen Fry narrating his own work - I loved his insight into his own life. The only disappointment for me was his reliance on diary excerpts towards the end. It was interesting having a view into his life in 1993 but I would have preferred more current commentary and analysis of what happened. 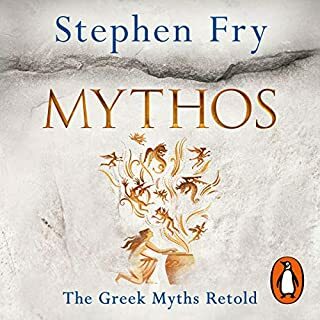 Three and a half stars on Audible, two and half stars on Amazon - is this really a book written by Stephen Fry? I've always enjoyed audiobooks ever since earliest childhood and long car journeys to see family made bearable (the car journeys at any rate) with the addition of a story read over the cassette player. I liked audiobooks for two reasons, firstly the story and second the narrator. I like Stephen Fry's books on Audible for the same reasons. There is nothing worse than an autobiography or memoir read by someone else. So Moab is my Washpot and the Fry Chronicles were a delight. Stephen, having some might say, lulled me therefore into a false sense of security with these two triumphs, disgorged me of my remaining credit in an instant. And I must say I DID enjoy 'More Fool Me'. The complaints people have with Stephen, and they are justified in many instances, is that he does hark on a little at his 'incompetence' his 'celebrity' and his 'self loathing' and general 'lack of confidence.' I'm sorry to break it to you but this IS Stephen and if you haven't learned that by now, then perhaps you should never have picked up 'More Fool Me' in the first place. It is self-deprecating in many places, depressing in others and repetitive upon the themes mentioned above, but it is also witty and funny and well written. Perhaps not to the same degree as his previous efforts and yes the second half is all diary-fied but if you're reading this, then you have been warned and per chance you can enjoy it for what it is - a comic although often in the dark sense, insight into another chapter of Stephen's life. And I for one, will be looking forward to the next installment. 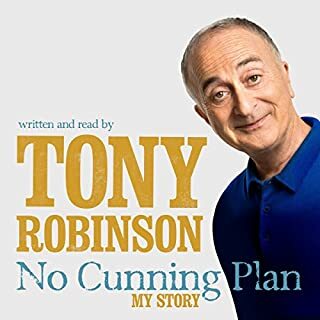 I enjoyed The Fry Chronicles very much and so was looking forward to this, the 3rd in the series recording the life of a bona fide National Treasure. But, oh dear, what has gone wrong? Not only does Mr Fry spend at least the first hour of this book recapping the story from the previous volumes (which frankly could've been done in a one-page summary) the initial chapters of this book meander about far too much. Call me old-fashioned but to me a key concept in a biography is that the narrative should flow in chronological order. Not so here as the story jumps forward and backward in time with little idea of how this book links to the end of the previous volume. 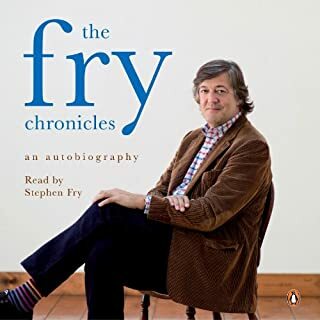 Only near the end of Part One does Mr Fry switch to a diary-style of narrative and, despite his protests that this style is not his forte, he proves to be an excellent diarist and the story suddenly shifts a gear into a flowing, consistent and highly-engaging thread. I have seen some other readers reviews where Mr Fry comes in for some stick over this, but to me it seems it's his editor who should shoulder the blame here. Mr Fry has written openly and candidly about the events surrounding his success, the parties, the excess, the lost nights and, especially, his cocaine addiction that ran for a number of years. To me it is the job of the editor to take these various scribblings (no offence meant), sift the wheat from the chaff, and produce a finished piece of work that is suitable for publishing. The editor in this case did none of these things. I assume he/she was so confident in Mr Fry's popularity that they thought any such dabbling to be an unecessary intrusion upon their time. 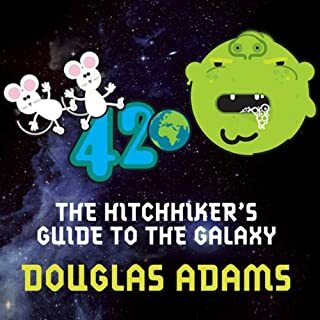 The introduction, which re-hashes both Moab and the fry chronicles is far too long, taking up an hour and a half of the audiobook. 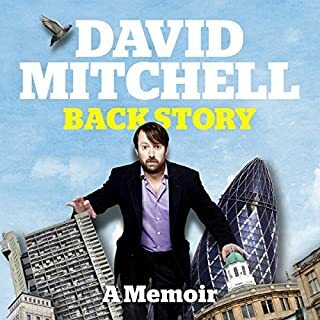 Whilst the latter half of the book comprises of diary extracts from the end of 1993, which are disjointed, awkward and ultimately rather boring. Fortunately (or perhaps unfortunately) this has not deterred me from signing up to pre-order his next instalment. The middle of the book see's Stephen returning to form as he recounts tales of his cocaine usage. With one particularly memorable story revolving around Blackadder, Kenneth Brannagh/Emma Thompson wedding, a condom holder, a glass or two of whiskey and the police. Was More Fool Me worth the listening time? For die hard fans of Mr Fry, no words of mine would dissuade them from listening to this book, after all I am a said die hard fan. 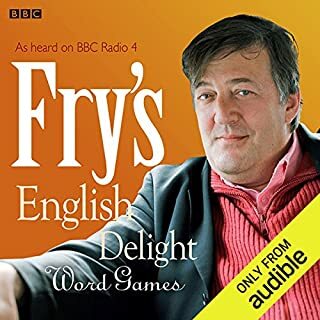 Perhaps, to put things in perspective, if I was not such a propent of Mr Fry's work I would have given this audiobook only two stars overall. Stephen throughout the book worries that people will judge him harshly because of his drug use, I think this unlikely. 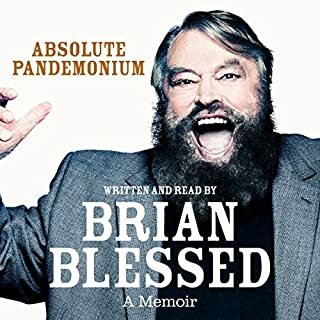 However, I do think people will judge him harshly on the fact they have doled out their hard earned cash and been rewarded with this boring, poorly written and lazily sourced (diary extracts... Sue Townsend is rolling in her grave) memoir. This really is only half a book. 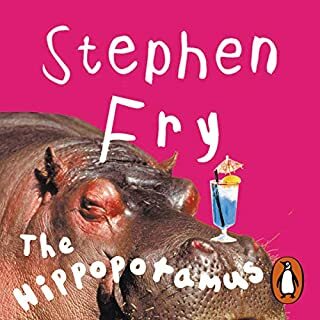 The second half are annotated extracts from his 1993 diary, that really only talk about massages, weight loss, babies and the pressure he felt to finish his book 'the hippopotamus'. I think there must have been similar parallels between that book and this. 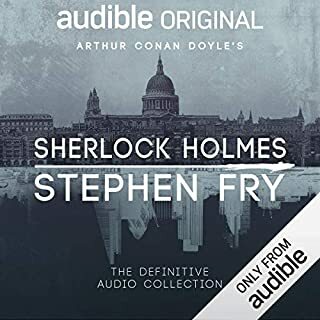 The book is read marvellously once more by Stephen, and as a little bonus for audiobook listeners, some grainy (though I suspect fake) audio snippets of Sigmund (Siggy to his friends) Freud. However, despite this, overall the book seems to have been written in a rush, poorly edited and lazily written. I am very disappointed by the whole affair and would recommend that all but the most hardened fans give it a miss. I was so disappointed with this third part of the autobiography. The first third of the book is simply a repeat of what we already knew. Stephen does repeatedly make light of this and apologise for those that read the previous books but that is no excuse. 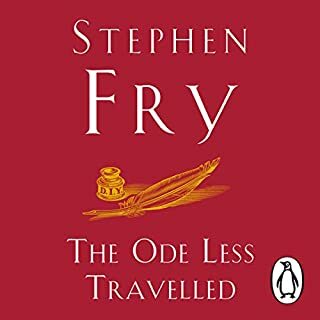 If you’ve listened to books by Stephen Fry before, how does this one compare? The Fry Chronicles was simply wonderful and I enjoyed it immensely, even recommended it to one and all. And then this, chapter after chapter about the drug taking. How, where, what and when he consumed is really of little interest to most, I would think. Not much unfortunately. I seemed to me that he gave ammunition to all of those who so dislike his attitude and style. I never did....until now. A frank and honest insight into Stephen's life. Would you consider the audio edition of More Fool Me to be better than the print version? Yes, without a doubt. With biographical books I have to be honest and admit that I quite often skim passages, but having them read by the author of the book makes the whole book more interesting. It feels like an actual conversation with the author. What does Stephen Fry bring to the story that you wouldn’t experience if you had only read the book? There are certain passages of the book that have more impact hearing them read rather than reading the printed word. Hearing Stephen swearing was one of the funniest parts for me. My husband assures me I have heard him swear before but there was something utterly differnt about hearing his utter some of those curse words. I personally loved it. Stephen has given us a great glimpse into his life, the ups and the downs. Those funny anecdotes mixed in with the touching and poignant insight into the lives of living with HIV and Aids in the early years of the diseases. His story is written so well, and I have to be honest, the diary entries near the end of the book have left me truly wanting more. A self-indulgent romp in which the author confuses honesty with candour. 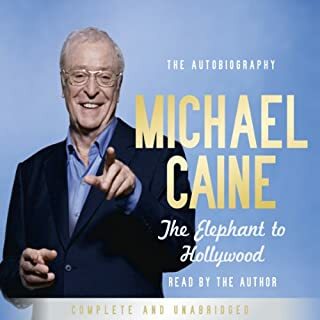 His much-publicised love affair with cocaine provides the backdrop to a narrative that begins by recapping some of the previous two volumes of his autobiography and continues with a verbatim reproduction of his diary for several months of 1993. We get about 120 days of something like "Got up, did a voice over at 9.30 and then went back to my flat." He then details the problems he experienced writing a novel at the time and lists the rising word count, before detailing his drug excesses of the evening and late night. Amid the lists of parties attended, we get a cockroach's eye view of seedy goings on at the Groucho Club, which would turn most people's stomachs. The low point for me was the description of hoovering up an enormous line of cocaine before he vomited out of an upstairs window, although the episode where he snorts cocaine off a urinal in the Commons is noteworthy. He then ends most days by playing poker or Perudo (a dice game a bit like poker.) When he doesn't party wildly with a cast of deadbeats, or dine with luvvies and retired politicians, he stays home and watches videos. And that's it for about a third of the book. There's a bit of sermonising at the end along the lines of "What was I thinking about?" to provide some kind of moral uplift. Between the poor quality of the content and the lack of originality (reprinting a diary that details the problems of writing a different book, more than 20 years ago), there is little left to enjoy. There is no sense of editorial discretion, no quality filter. As Steve Martin pointed out in Trains, Planes and Automobiles: "Not everything is an anecdote." This book is an exposition of smug self-indulgence run wild and a massive disappointment. Would you try another book written by Stephen Fry or narrated by Stephen Fry? Yes, most definitely. I've read all Stephen Fry's works, both fiction and autobiography, and loved them all, apart from this book. It wasn't terrible, just quite disappointing. What was most disappointing about Stephen Fry’s story? 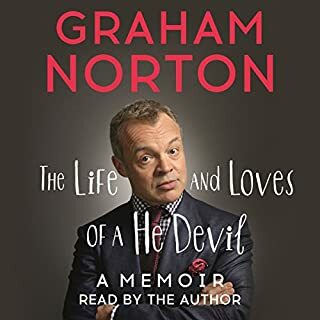 The first part of the book focussed on subjects mostly covered in his first two autobiographies, which he acknowledges and would have been forgiven for had not the second part almost been entirely focussed on six months of his life in 1993, which was 21 years ago and quite repetitive in nature. The introduction promised an account of his life up until the present day and I felt more than 'miffed' that that wasn't delivered and we haven't heard a more varied account covering his more recent years. Perhaps, volumes 4 or 5 will cover that! Despite the above comments, his performance is as wonderful as ever, it's a shame the content didn't match it. Having listened too Both Moab and Chronicles, I was expecting this to take me through Stephens life from that "first line" 1986 to some point in the future. What I got was a rehash of Moab and Chronicles that was far too long, followed by an increasingly monotonous reading of diary entries from 1993, that said little about Stevens life and everything about the lives of the people he met day to day. This book added nothing to my knowledge of Steven as the first two had, leaving me disappointed and pleased to have reached the the credits. Which in truth were far less mind numbingly boring than the rest of the book. Yes, Stephen Fry has a way with his reading that makes listening very easy! The story was very easy to follow and it was interesting to see the variety of his work which is not always appreciated. No one moment, but overall Stephen Fry is not afraid to use his intelligence but is also able to accept and admit his failings. What made the experience of listening to More Fool Me the most enjoyable? Not sure i would have read this , the beginning is what we already know from his previous 2 books. However , it is Stephen Fry , and you should know how he is always so self depricating. What other book might you compare More Fool Me to, and why? His previous 2 parts of his autobiography.